A couple months back we had the chance to review MSI’s GT70 Dragon notebook, a high-end gaming system sporting the brand spanking new Haswell Core i7-4700MQ with a just as new GeForce GTX 780M graphics chip. What we found was that performance didn’t impress us quite as much as we were expecting. Mythlogic wanted to show us “GTX 780M done right”, more or less, so they shipped their Pollux 1613 (Clevo P157SM) system for review sporting similar hardware to the GT70 Dragon…and performance once again wasn’t quite what we were expecting in games. It’s not that either system was slow, but we simply expected to see more of a difference. 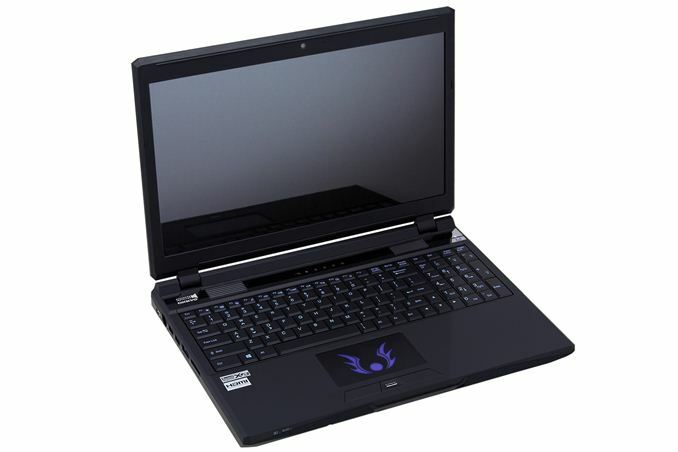 Most of the items are pretty much what you’d expect from a high-end notebook, with a quad-core i7 CPU and GTX 780M providing the raw horsepower for any games or other computationally intensive tasks. As mentioned above, we tested with both the i7-4700MQ and the i7-4900MQ, including overclocking via Mythlogic’s customized BIOS. We also requested a single large SSD for our review unit and Mythlogic obliged and equipped the notebook with a 512GB Samsung PM841 mSATA SSD. The choice of SSD was less about performance than it was about convenience; I have found that 240/256GB SSDs just aren’t quite large enough to hold everything I want. Bumping up to the 512GB class fixes this shortcoming, and there’s still plenty of spare area available for future games and applications—and you can always add an additional HDD if needed for mass storage of data files. If I were buying a high-end laptop right now, I’d definitely splurge and get a 512GB class SSD. The connectivity and I/O options cover just about everything you could want. There are three USB 3.0 ports, including an eSATA combo port. A single USB 2.0 port is also present for legacy/compatibility reasons (I’ve noticed that trying to install Win7/Win8 from a USB 3.0 port often creates problems). Clevo even includes a FireWire 1394b port for those that need it, and on the display side there are three digital connections: one full-size HDMI, one full-size DisplayPort, and one mini-DisplayPort. VGA and DVI users will need an adapter, but given where we’re headed I think going with two DP connections is the best choice for most users. For wireless, we were very pleased to discover that Mythlogic equipped their notebook with an Intel Wireless-AC 7260 adapter; the configurator has now moved on the Advanced-AC 7260, which adds Bluetooth 4.0 support. Regardless, the ability to transfer data over WiFi at up to ~45MBps is something I’ve been longing for; range of 802.11ac won’t be as good as 2.4GHz networking, but since you get 2.4GHz and 5GHz support it’s not really a concern. It is strange that in some cases you had lower performance overclocked than not. Did you raise the TDP limit when you overclocked the CPU? I have found hitting the TDP limit to cause the CPU clocks to periodically plummet on my P150EM, hurting performance substantially. CPU is set to 3.8ghz, using 55W of power. CPU runs at 3.8ghz constantly, but only 3.5ghz is needed to max out the GPU in whatever game is being played at this time. Didn't you say that one of the MSIs came with a 4930mx? You could pop that into the P157SM, set the TDP sky high, set the same clocks, and see if it has the same odd behavior. I've been seriously considering the P150SM. Any real downsides in your opinion compared to the P157SM? I like the smaller size and that stupid touchpad light isn't present.